Harpin’ By The Sea was the brainchild of Stuart McKay, James Aldcroft and Richard Taylor. A spin-off from the Brighton Harmonica Collective, the concept was simple and very genuine. The three musical mates wanted to organise a workshop and evening entertainment to celebrate their favourite instrument, the humble harmonica. There was an abundance of harmonica players around the City; they just had to pick a time when not much was happening and everyone could get together. Drawing on their collective expertise, the planning took shape, but the project still needed a name. Harpin’ By The Sea was saucy postcard influenced choice, and the inaugural HBTS event took place on Saturday 5th February 2011 at The Brunswick in Hove. It was a resounding success and there were immediate requests to do it all again. And so a new annual Music Festival was born. The production team set about planning HBTS2 and, with one or two refinements, a sell-out programme was delivered. Once again there were requests to repeat the event. At this point, James rightly decided to direct his energies towards his young family and new business commitments, leaving Stuart and Richard at the helm. Resolved to giving things a third go, Stuart and Richard considered ways to develop the programme further. 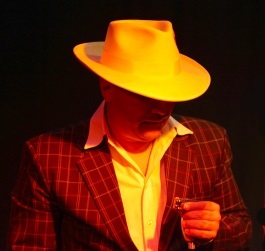 Richard suggested including a special guest from the international harmonica world to headline the 2013 evening show and deliver a masterclass. Stuart duly popped the question to Steve Baker, who agreed to fly in from Hamburg for the event. A new benchmark was set, which became the formula for future productions. By 2014 it was clear that HBTS was a much-anticipated annual event. To avoid stagnation, future events would now be themed. 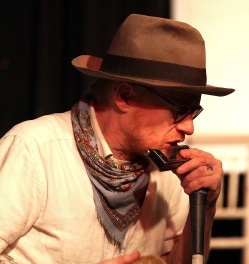 A specific style of harmonica music would be selected and matched with guest artists that personified the genre. 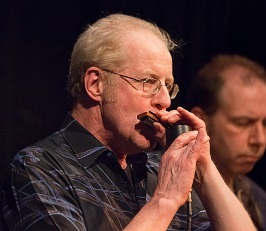 And what better way to kick off, than the magic of Chicago blues harmonica? 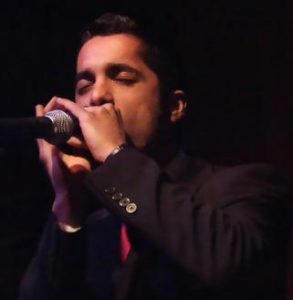 A vibrant new talent in this department, Aki Kumar flew in from San Jose, bringing with him his humour, charm and growing reputation as a highly skilled exponent of the Little Walter style. This was also to be Aki’s debut in the UK. Since 2014, HBTS has enjoyed continued success and sell-out crowds in the company of many top line performers. Joe Filisko, Son of Dave, Lee Sankey, Lonesome Dave Ferguson, Jerome Godboo, Rory McLeod and Victor Puertas have all graced the HBTS stage. You can review past shenanigans in our Archive pages. 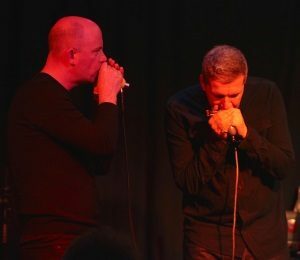 Today HBTS is a pillar of the international harmonica calendar; it has even been featured on BBC Radio 4 and on the Paul Jones BBC Radio 2 blues show. 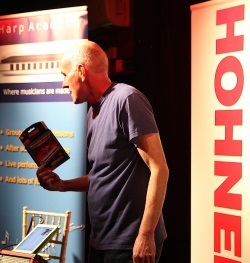 Upholding its strap line, A Breath Of Fresh Air, HBTS productions continue to pave the way in bringing specialist musical styles and emerging musical talent to the attention of the wider harmonica community. On behalf of everyone involved, we hope you enjoy this year’s event and we look forward to celebrating the harmonica with you for many years to come.